Leading Manufacturer of ss instrumentation tube fitting, straight male connector, tube female connector, equal tee and tube union from Vadodara. 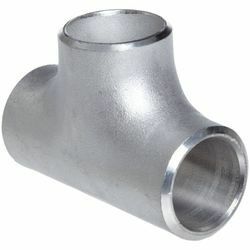 We are offering the SS Instrumentation Tube Fitting for regular sizes of tubes. These are also called as instrumentation tubing which provides a leak proof torque free seal at all the tubing connections, thus eliminating hazardous and costly leaks. We feel proud to present ourselves as the foremost firms in this market place, engrossed in offering an Straight Male Connector. Available in various specifications, our products are manufactured with factory-tested raw material and latest technology. It is compact in size and made from high grade of raw material sourced from reliable vendor base. 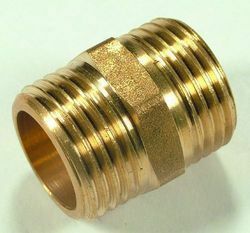 The offered connector is provided with snap on coupling for easy installation. 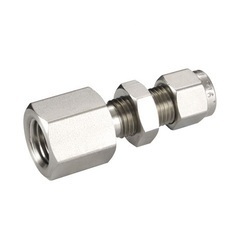 Leveraging on our years of experience we offer a range of Tube Female Connector that is used in different industrial fittings. We procure standard raw material to manufacture the range of connectors. Owing to features like precise design and optimum quality, our offered connector has been able to earn a lot of popularity in the market. Keeping in mind the diverse requirements of our clients, we provide entire range in various designs and specifications and at affordable prices. We hold expertise to offer a wide range of Equal Tee to the clients. The offered tee is availed in different configuration and other related specifications, in order to meet the variegated expectations of our valuable customer. Moreover, the offered equal tees are tested on various parameters so as to ensure their high performance. Backed by our immense industry knowledge and experience in this domain, we are offering a superior quality array of Tube Union. 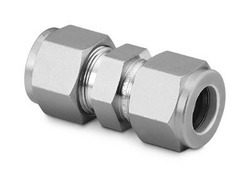 Manufactured using high quality raw material, these tube fittings are well known in the international market for its accurate design, high performance and sturdy construction. We offer this union in different models and other related technical specifications, in order to meet needs of our prestigious clients. In addition, they are offered at reasonable rates.